If you’re lucky enough to have a large vanity mirror—especially one that sits right on the countertop and spans the wall up to the ceiling—then, you know the benefits. 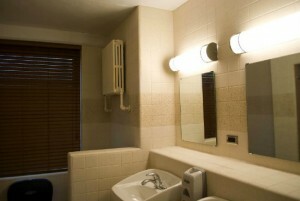 The room feels more spacious, the lighting is more radiant and it’s just to groom and get dressed. You love your mirror, and we don’t blame you. But, what if your vanity needs a little help? Removing the countertops requires removing the mirror if it rests on the top edge of the backsplash, so replacing the vanity can be messy, time-consuming, and expensive. Removing a mirror that is glued to the wall almost certainly means that it will shatter upon removal. 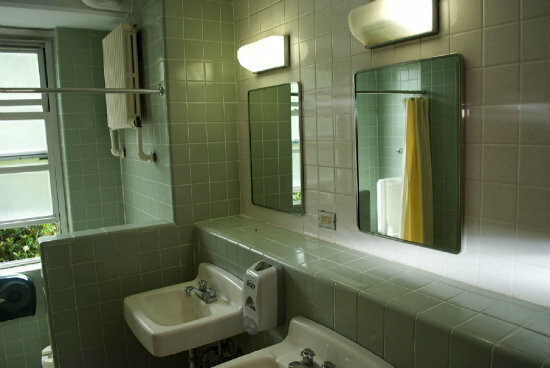 Unfortunately, you will incur additional expense to replace the mirror and repair any damage to the wall. 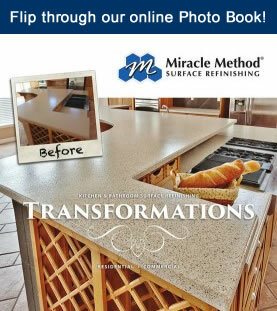 Miracle Method Surface Refinishing has a solution—a quick, cost-effective way to avoid tearing your bathroom apart and still get that beautiful vanity you want. 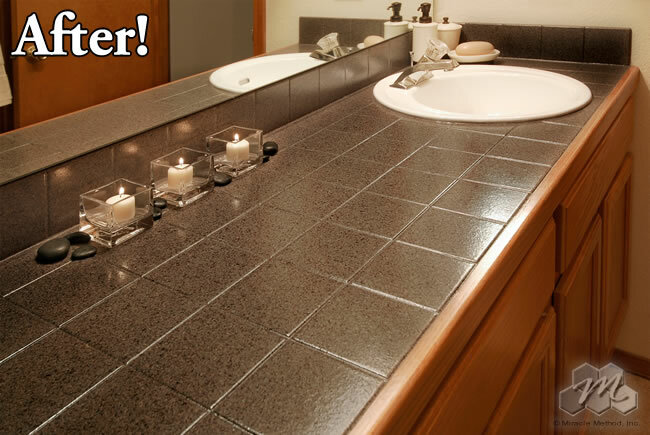 Whether your countertop is tile, cultured marble, or Formica, we can refinish it without ever removing your mirror. 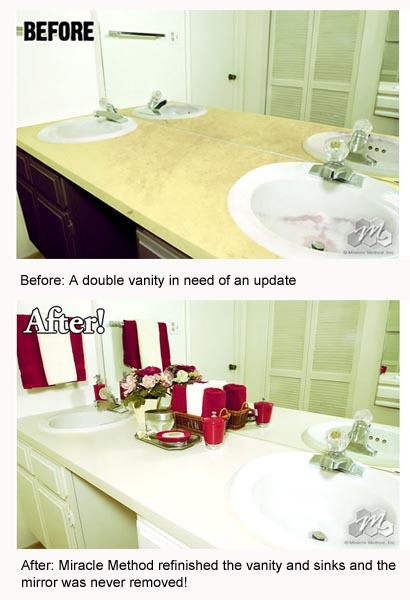 While we’re at it, we can refinish your sinks to match. With dozens of colors and textures to choose from, you can create the bathroom vanity you’ve been wanting. 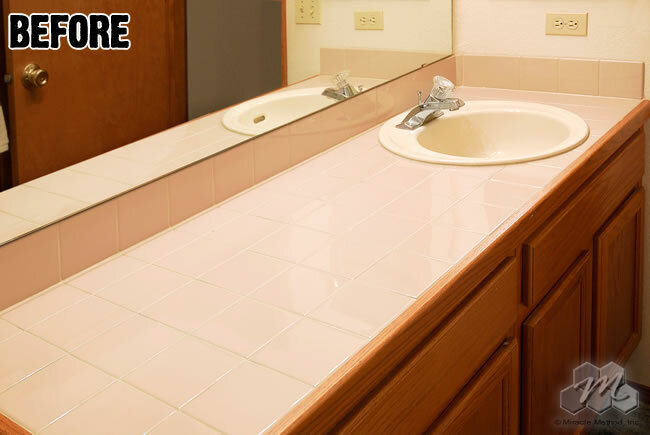 Surface refinishing also extends the life of your countertop and sink by about 15 years or more, and you save up to 50% over the cost of removal and replacement. With Miracle Method, you can hold on to that mirror and still create the vanity you’ve wanted. And, we’ll leave your mirror intact throughout the entire refinishing process!